The 73rd Session of the UN General Assembly began on Tuesday this week, next Tuesday seeing the beginning of the high-level general debate when heads of country delegations deliver their statements in front of the General Assembly. This year’s session is headed “Making the United Nations Relevant to all People: Global Leadership and Shared Responsibilities for Peaceful, Equitable and Sustainable Societies,” and Egypt’s delegation is finalising arrangements for President Abdel-Fattah Al-Sisi’s meetings with various international leaders and officials, including the UN secretary-general, the president of the World Bank, the leaders of Arab, African, Asian and Western countries, the heads of major US companies and other influential US figures. 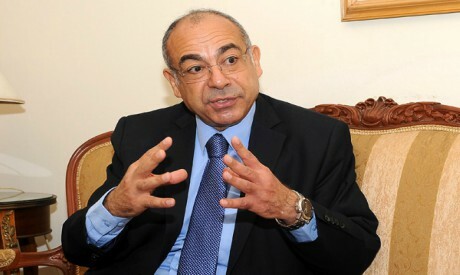 Including presenting its take on sustainable development, combating terrorism and coping with climate change, Egypt’s agenda for the UN meetings is a particular full one, and it is explored in comments made by Egypt’s permanent representative to the UN, Ambassador Mohamed Idris, below. What are the most important meetings to be held on the sidelines of the high-level segment of the 73rd Session of the UN General Assembly? The Nelson Mandela Peace Summit will be held on 24 September, marking the centennial of the birth of the former South African leader with the participation of many world leaders. A political declaration will be adopted, and Egypt’s statement at the event will highlight Mandela’s journey and his historic role in national liberation movements, the anti-apartheid movement and the development of the African nations. A high-level meeting on funding the UN 2030 Development Agenda will be held upon the invitation of the UN secretary-general on 24 September to launch the secretary-general’s strategy on funding and mobilising the support needed to close the funding gap if the UN Sustainable Development Goals (SDGs) are to be achieved. The meeting will also be attended by representatives from the private sector, among them Microsoft founder Bill Gates. Will Egypt be a key player in this session? Egypt will present its current national efforts to mobilise domestic resources to fund development through its economic reform programme, and it will confirm the need for consolidating international efforts to assist developing countries in achieving the UN Sustainable Development Goals. This event comes at a time when international efforts are underway to carry out the Addis Ababa Agenda for Funding Development and to ensure the availability of the needed resources to implement the UN 2030 Agenda. Some have said that Egypt is particularly involved in the UN 2030 Youth Strategy. Egypt is participating in a high-level event hosted by the UN envoy for youth and the UN secretary-general to launch the UN 2030 Youth Strategy next Monday. Egypt is basing its participation in this important event on its achievements in the 2030 Sustainable Development Agenda, which is consistent with the importance Egypt attaches to the role and the effective participation of young people in all aspects of economic, social and political life. Egypt also hosts the World Youth Forum in November every year, which is a global platform to promote dialogue and exchange experiences. Egypt is currently heading the G-77, giving it a more active role in coordinating activities among UN member states. Since Egypt is the president of the G-77 for 2018, President Abdel-Fattah Al-Sisi will give the inaugural address of the G-77 plus China ministerial meeting on 27 September, which will be attended by the UN secretary-general. Egypt will also participate in a high-level dialogue with the secretary-general on “Implementing the Paris Agreement on Climate Change and the 24th Conference of the Parties to the UN Framework Convention on Climate Change” (UNFCCC) on 24 September, since it heads the G-77 negotiations on the outcomes of the UNFCCC to activate and implement the Paris Agreement on Climate Change, especially the articles relating to funding and adaptation. Fighting terrorism is now a global focus, and here are many activities in this session of the UN General Assembly to coordinate international efforts in this regard. What are the key meetings and what issues will Egypt focus on? We are participating in the Ninth Session of the Global Counter-Terrorism Forum (GCTF) on 26 September, which is the annual meeting of ministers concerned in New York. This year the focus is on foreign terrorist combatants, the relationship between terrorism and organised crime, and prosecuting those accused of terrorism. Egypt was one of the 30 founding states of the GCTF in 2011, and it currently chairs one of five working groups focused on building the capability of East African countries in counter-terrorism. Egypt will brief the meeting on the main accomplishments of this working group. Other GCTF working groups address countering violent extremism, foreign terrorist fighters, criminal justice and the rule of law, and building the capability of West African states. Have there been developments on an international code of conduct on counter-terrorism? Kazakhstan will host a meeting on the sidelines of the UN high-level meetings to adopt an international code of conduct on counter-terrorism, which has been agreed on after months of negotiations. It includes the main principles countries must abide by as part of their counter-terrorism efforts in the form of a “political declaration” that it is optional for countries to join. The declaration includes the principles of abiding by international law in counter-terrorism, ending all funding and all forms of support of terrorism, confronting terrorist ideology and messages, improving counter-terrorism cooperation among countries, and banning the use of IT and communication, including the Internet, for terrorist purposes. Egypt was one of the first countries that called for the setting up of an office in the UN secretariat to combat terrorism during the fifth periodic review of the UN Global Strategy for Counter-Terrorism in 2016. Egypt believed that such an office would improve the coordination of counter-terrorism efforts by UN agencies, and it was created with a deputy of the secretary-general at the helm in September 2017. Are you satisfied with the achievements of Egypt’s diplomacy at the UN on the issue of counter-terrorism? We have a long experience of counter-terrorism. Egypt has proposed issues that are a priority for us, and it has succeeded in passing two UN Security Council resolutions on the matter by consensus. UN Security Council Resolution 2354 (2017) focuses on implementing the Comprehensive Global Framework for Countering Terrorist Rhetoric, and UN Security Council Resolution 2370 (2017) focuses on preventing terrorists from acquiring weapons. Egypt was particularly keen on passing the latter resolution due to the serious threat posed by some countries — especially some in the Middle East — in supplying weapons to terrorists and armed groups to carry out destructive regional agendas. Egypt also succeeded in including clear references to this issue for the first time in the outcomes of the conference reviewing the UN Programme of Action on Illicit Small Arms and Light Weapons in June 2018. It succeeded in adding Al-Azhar’s Dar Al-Iftaa (the religious rulings authority) and the Cairo International Centre for Conflict Resolution, Peacekeeping and Peace-building on the list of international think tanks and institutions that the directorate of the UN Counter-Terrorism Committee consults on various matters. The Palestinian cause has reached a crossroads after the recent actions by the US administration. What actions will Egypt and the Arabs take in this regard in New York? The Palestinian cause is a priority for the meetings of the president and the foreign minister with regional or international parties while they are at the UN General Assembly in New York. There will also be informal meetings on the sidelines to discuss the crises in the Middle East and the challenges facing UNRWA, the UN agency assisting the Palestinian refugees. There has been talk about a “deal of the century” on the Palestinian-Israeli conflict. How does Egyptian diplomacy see such developments? The serious conflicts in the Middle East over the past seven years and the unprecedented humanitarian catastrophes there have shaken the Arab peoples to the core and impacted how the international community has been dealing with the Palestinian cause due to the muddled positions of international institutions and players. Looking at the agenda of the UN Security Council before 2011, the Palestinian cause was a top priority in the Middle East; today’s agenda is packed with other issues, such as the situations in Syria, Libya and Yemen. Nonetheless, there is an Arab consensus not to surrender to this muddle, because we believe the Palestinians’ legal rights are inalienable. Accordingly, during its membership of the UN Security Council and through its influential presence in the UN agencies, Egypt has worked to protect provisions regarding the Palestinian cause in the Security Council, renewing and embedding the rights of our Palestinian brothers to their land. Egypt also continues to mediate for Palestinian reconciliation, and it is mindful of the deplorable humanitarian conditions in the Gaza Strip. It is aware of the importance of Palestinian unity under the umbrella of the Palestine Liberation Organisation (PLO) to strengthen the Palestinian hand in the negotiations. In the 73rd Session of the UN General Assembly, we will be reiterating that the only way the Palestinians and Israelis can live in peace is by returning to the negotiating table on the basis of international resolutions and the Arab Initiative on Palestine. Egypt believes that this is the foundation for a comprehensive settlement that serves the interests of all the parties. Egypt’s support for the Libyan national army has been indisputable, even as the international community’s handling of the armed militias in Libya has been ineffective. Libya is facing a very serious threat, namely the spread of armed groups and the inability of state institutions to carry out their duties. Egypt believes that the best way to handle the Libyan crisis is to support the Libyan Political Agreement and the UN Plan of Action on Libya. In order for this to happen in a stable environment, there is a need to unify Libya’s military and to eliminate the militias. Egypt is working on creating the necessary conditions for this unification to take place, but it is not interfering in the details because this is an internal Libyan issue. In order for efforts by Egypt and the UN to succeed, the international community must take a firm stand against funding and supporting terrorist elements in Libya. Despite the victories of the national Libyan army, some parties are continuing to play a destructive role by supplying weapons to terrorist groups. We are trying to confront this through our contacts with members of the UN Security Council and international and regional players. The explosive situation in Idlib in Syria is also on the agenda in New York. What is Egypt’s view of this? Egypt will participate in the ministerial meeting on Syria hosted by the EU to follow up on the Brussels meetings in support of countries hosting Syrian refugees. Egypt’s decisions and actions are determined by its commitment to the interests of the Syrian people. This has given our position more credibility as time passes, and there is a keen interest by key players in the UN Security Council — despite their competing against each other — to listen to our viewpoint regarding terrorism, humanitarian issues and the political process in Syria. Our view on Idlib is in the same vein as the above-mentioned general stance. Despite the challenges of acute disagreements among Security Council members, Egypt was able at the end of its term in the Security Council in December 2017 to renew the trans-border mandate of the humanitarian aid system in Syria by passing a binding resolution on the issue. This system is benefiting millions of Syrians, especially in Idlib, today. Egypt is continuing this role through communicating with influential parties and groups on the ground in Syria, such as Russia, the Astana Group, and the Focus Group on Syria that includes several Western and Arab countries, including Egypt. Our constant course is combattng the terrorist groups that have flourished in Syria and threaten the entire region, while addressing the humanitarian situation of our Syrian brothers, whether through continued humanitarian aid or protecting civilians. Are there new developments in Egyptian-African relations that will be reviewed in New York? The president’s agenda in New York includes one-on-one meetings with the leaders of African nations, especially regarding South Sudan, Libya, the Sahel and the Great Lakes regions. Egypt is also interested in promoting cooperation between the UN and the African Union (AU), especially as it nears its presidency of the AU beginning in January 2019, by strengthening existing treaty frameworks in this regard.